Even on days when you choose to wear your contacts, it is possible to take steps to reduce your chances of over wearing your contacts. One easy way to do this is to wait to put your contacts in when you wake up in the morning. Wear your glasses during your morning prep, and put your contacts in as the very last step before leaving for the day. Taking your contacts out as the pirst part of your bedtime prep is another great way to help yourself. These two methods combined can significantly reduce your chances of contact lens overuse without having to make much conscious effort to do so. Possibly the most important part of preventing contact lens overuse is paying close attention to the replacement schedule prescribed by your doctor. Time lines for contact lens replacement are established to protect your eyes from the potentially harmful consequences of contact lens deterioration and calcium deposits that build up on your contact lenses over time. 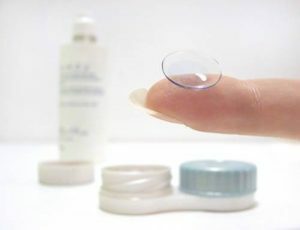 Many people believe that as long as their contacts are comfortable to wear, there is nothing wrong and no need to replace them. Optometrists have fought against this harmful myth for years. By the time contact lenses are uncomfortable, they may have already begun to damage your eyes in ways that may affect your sight long term. Whether in an attempt to save money or through simple inattentiveness, wearing your contact lenses beyond their prescribed replacement date is an incredibly harmful practice that could have serious long term consequences. How to Place & Remove Contact Lenses?